A Paleo diet is supposed to have been eaten by our Palaeolithic ancestors and also known as the Stone Age diet or Сaveman diet. 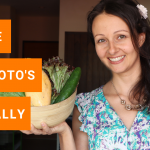 When people look for alternative ways to reverse their hormonal imbalances, including hypothyrodism, hyperthyrodism, Hashimoto’s thyroditis, Graves disease, as well as PCOS, fibroids and other issues, sooner or later they will come across the Paleo diet. Yet, a Paleo diet can actually turn out to be a negative choice when it comes to the health of your thyroid and hormones. 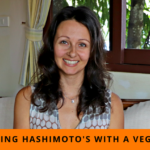 In my latest video, I talk about how a Paleo diet can actually hurt your hormones and thyroid health. The idea put forward by Paleo diet promoters is that our Paleolithic ancestors ate a diet that contained lots of meat, due to the belief that they would have hunted lots of animals for their food. If you look at the Standard American Diet (SAD diet), you will find that people get around 12 to 18 g of fiber per day. Since fiber is found in plants and not animal foods, this gives you a clear idea of just how much plant foods these Paleolithic ancestors of ours were consuming. Basically, they were consuming over 5 times as much fiber in their daily diet than most Americans are currently. That’s a BIG difference! 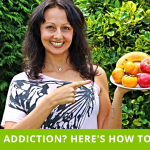 If any of you out there have ever consumed 100 g of fiber in your daily diet or come close to it, then you’ll know just how much plant foods you need to eat … LOTS! Being on a plant-based vs Paleo diet, it’s very easy to consume healthy amounts of fiber in your daily diet. Now, what I wanted to focus on in particular today with regards to the Paleo diet is thyroid health – or rather lack of it. 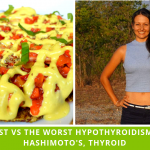 The thing is that when you eat a very low carb diet like the Paleo diet it can actually lower the function of your thyroid gland. Going low carb and high fat, as many people do on the Paleo diet, can lead to you inadvertently hurting your thyroid. 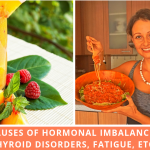 All of these suppress your thyroid function and so negatively affect your health. 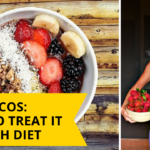 We work with many clients and ladies who have suffered with thyroid problems and typically low thyroid issues where their thyroid gland underperforms, especially if they follow a Paleo, Keto or other low carbohydrate diet. 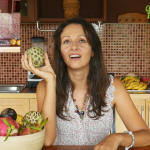 Watch the video above to discover more about how a Paleo diet can negatively affect your health and the health of your thyroid and leave your comments below! P.P.S. If you’d like to talk to us personally about getting your health back, click here to apply for your health discovery call. 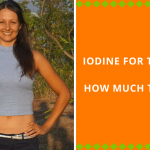 Iodine For Thyroid: How Much Do You Need To Take? My husbands aunt had a stroke high blood pressure and diabetes I put her on the Paleo diet and a year later she was med free!!! Sadly she s dropped the Paleo Diet and is headed back to the meds and or another stroke sadly strokes mess with logic she insists she never had diabetes ? ?